Imagine all our preschoolers spending hours each week in a parent’s lap, reading their favorite storybooks together. Then envision these same children arriving at kindergarten, already in love with the printed pages of a book. The Raising a Reader Program is a wonderful early literacy experience for the children of Alleghany County.  It is funded by Smart Start and ran through Alleghany Partnership for Children. Since 1999, Raising A Reader has helped over a million families develop, practice, and maintain home-based literacy routines that have been linked to academic and life success. Raising a Reader focuses on strengthening family literacy routines and community literacy connections – a method that’s proven to work. The Raising a Reader program is evidence-based, with more than 32 independent evaluations showing that Raising a Reader significantly improves language and literacy skills, cognitive development, communication and comprehension skills, school readiness and social competence. The program is implemented through a network of community partners that comprise more than 2,700 locations across the country including public school systems, libraries, afterschool programs, community agencies and other organizations both public and private. For more information about getting involved with the Raising A Reader Program, please contact the Alleghany Partnership for Children at (336) 372-2846.